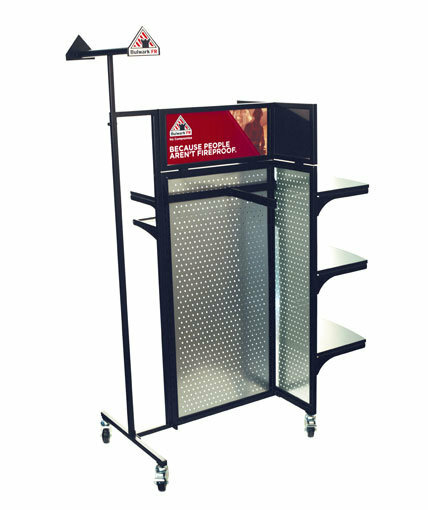 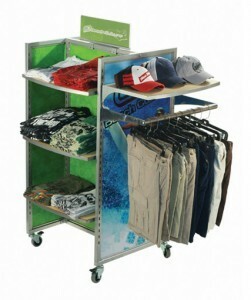 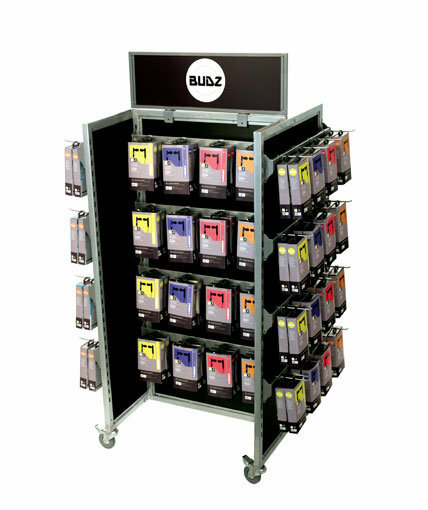 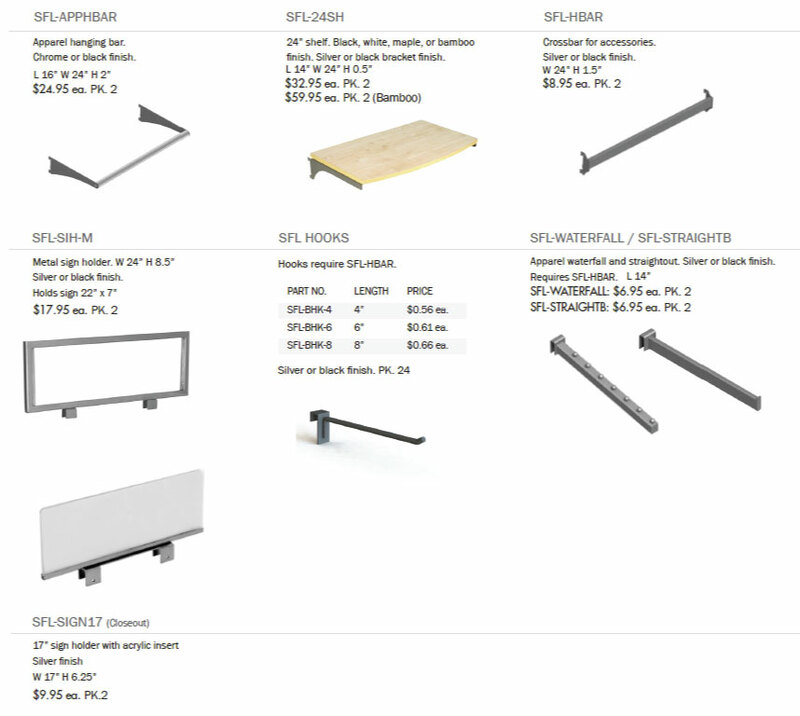 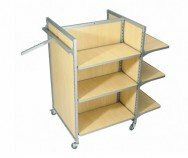 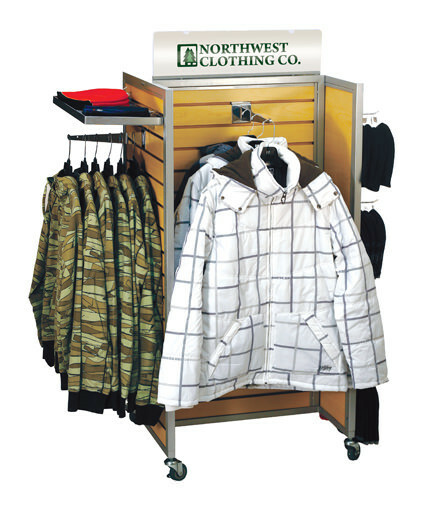 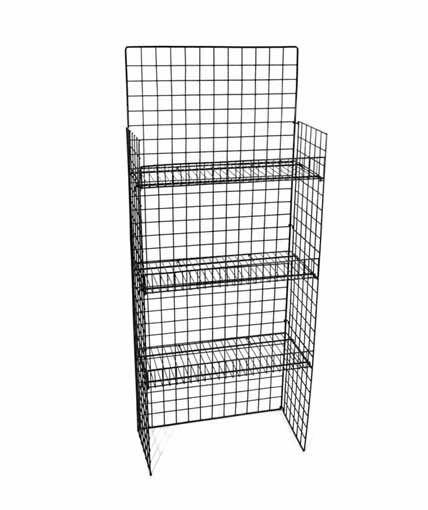 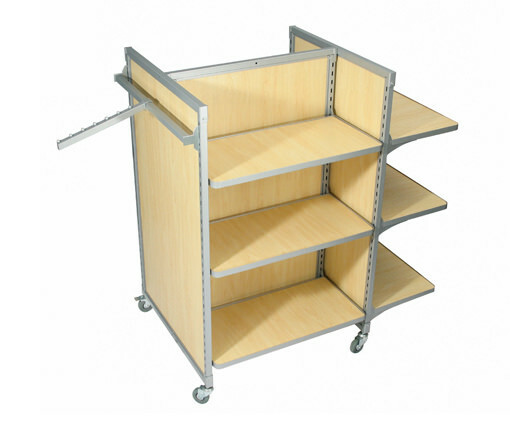 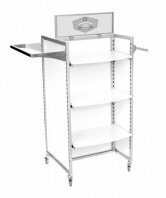 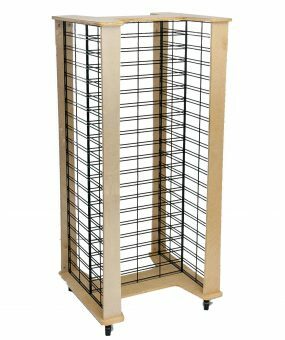 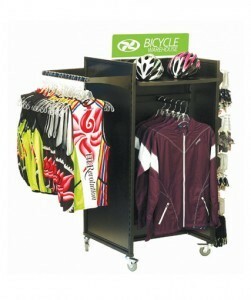 H-Rack display comprised of 3 heavy-duty steel frames with maple laminate inserts and locking casters. 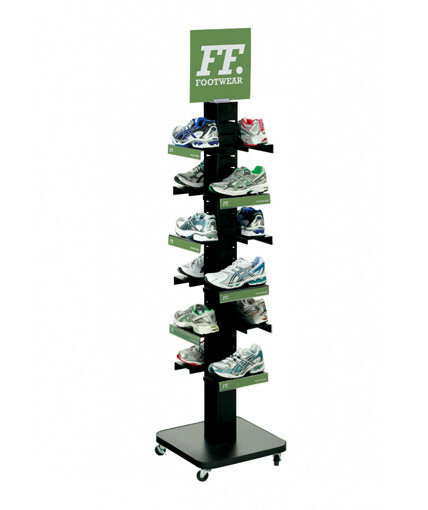 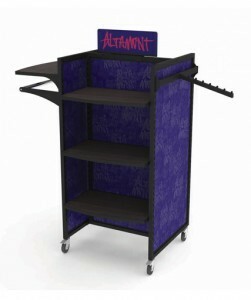 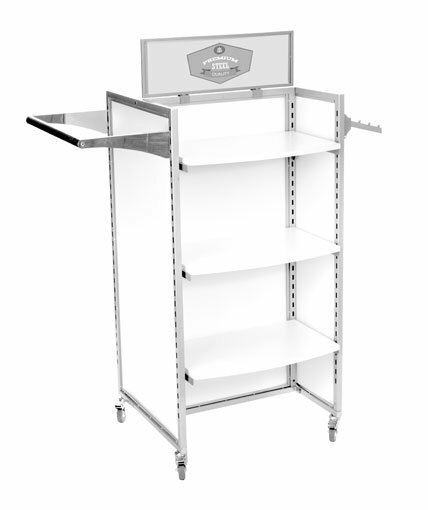 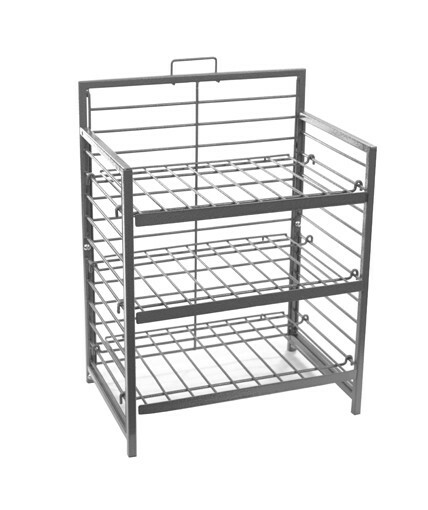 Easy to assemble and built to endure tough retail settings. 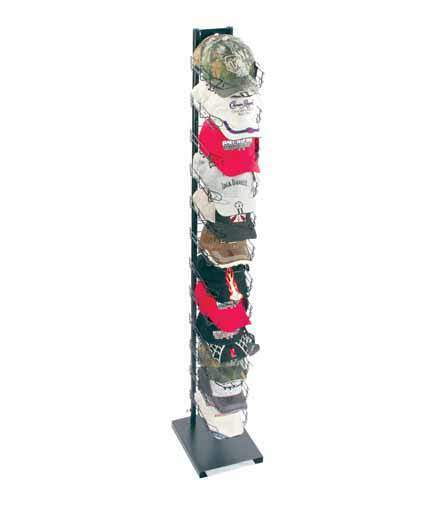 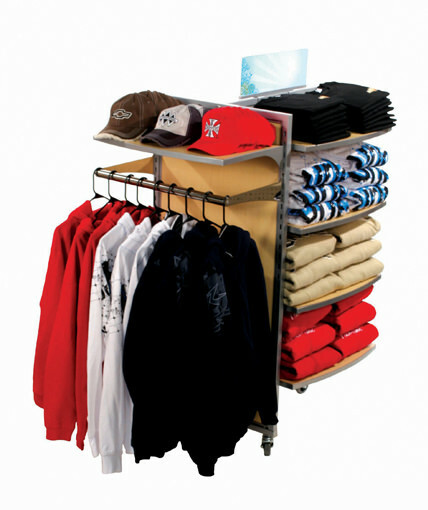 Custom apparel fixture with metal peg panels. 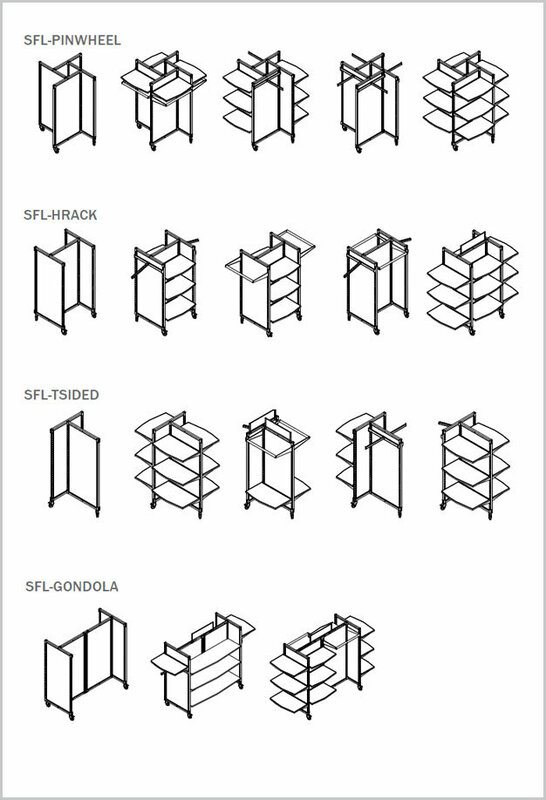 Custom sfl rack with shelves and straightout waterfalls. 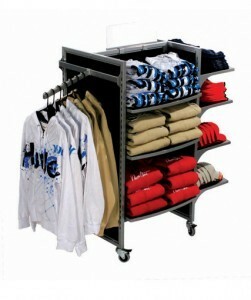 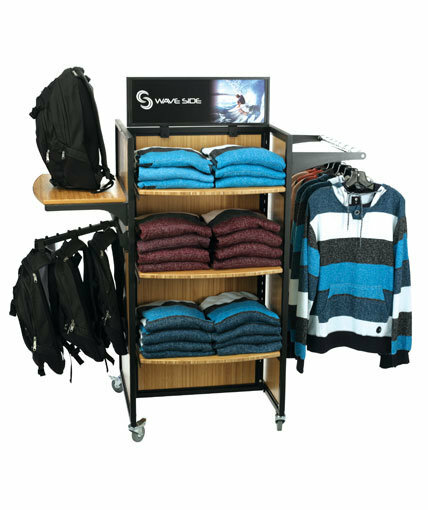 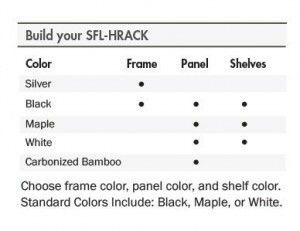 Black sfl H-Rack with apparel accessories.